Allah’s Messenger ﷺ addressed us and said: ‘O people, Allah has made Hajj obligatory for you, so perform Hajj.’ Thereupon a person said: ‘Messenger of Allah, is it to be performed every year?. The Holy Prophet kept quiet, and the questioner repeated these words thrice. Allah’s Messenger ﷺ said: ‘If I were to say “Yes” it would become obligatory for you to perform it every year and you would not have been able to fulfil it.’ Then he said: ‘Leave me as I leave you, for those who were before you were destroyed because of excessive questioning, and their opposition to their apostles. So when I command you to do something, do it as much as you can and when I forbid you to do something, abandon it. '1Al-Bukhari, Hadith No. 7288; Muslim, Hadith No. 1337; Ahmad, Hadith No. 905, 2304 & 10607. Allah’s Messenger ﷺ said: ‘The people of Madinah should assume Ihram from Dhul Hulayfah, the people of Syria from al-Juhfah and the people of Najd from Qarn.’ And Abdullah added: I was informed that Allah’s Messenger ﷺ had said: ‘The people of Yemen should assume Ihram from Yalamlam. '2Al-Bukhari, Hadith No. 133 & 1525; Muslim, Hadith No. 1182; Ahmad, Hadith No. 5070 & 5323. A person stood up and asked: ‘O Allah’s Apostle! What clothes may be worn in the state of Ihram?’ The Prophet ﷺ replied: ‘Do not wear a shirt, trousers, headwear (e.g. a turban) or a hooded cloak. However, if somebody has no shoes, Khuffs may be worn, provided they are cut beneath the ankles. Do not wear anything perfumed with Wars or saffron. A woman in the state of Ihram must not cover her face or wear gloves. '3Al-Bukhari, Hadith No. 1838 & 5805; Muslim, Hadith No. 1177; Ahmad, Hadith No. 4868 & 5325. He continued to answer questions concerning the rites of Hajj. We set out in the company of Allah’s Messenger ﷺ five days before the end of Dhul Qadah intending to perform Hajj only.7Al-Bukhari, Hadith No. 1709, 1720 & 2952; al-Nasa’i, Hadith No. 2650; Ibn Majah, Hadith No. 2981. Allah’s Messenger ﷺ entered upon Duba’a bint al-Zubair and said to her: ‘Do you have a desire to perform the Hajj?’ She replied: ‘By Allah, I am poorly.’ He said to her: ‘Make an intention to perform Hajj and stipulate a condition, saying: ‘O Allah, my place of release is where You may detain me’ (i.e. I am unable to go further). She was the wife of Al-Miqdad ibn al-Aswad.8Al-Bukhari, Hadith No. 5089; Muslim, Hadith No. 1207 & 1208; Ahmad, Hadith No. 26953. He was also accompanied by all of his wives. 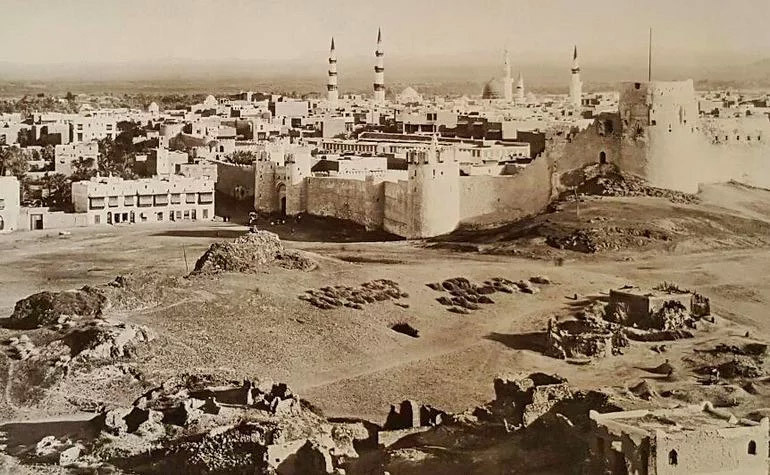 In his absence, the Prophet ﷺ appointed Abu Dujana Simak bin Kharasha I, a companion from the clan of Banu Sa’idah of the Ansar, to govern over Madinah. Madinah, which was in the grip of war just a few years earlier, was now a place of security and tranquility. Despite the infallibility of the Prophet ﷺ and the impossibility that he would perform an act for the purpose of fame or ostentation, he supplicated to be free of these two traits, demonstrating his great humility, considering himself just a normal person. 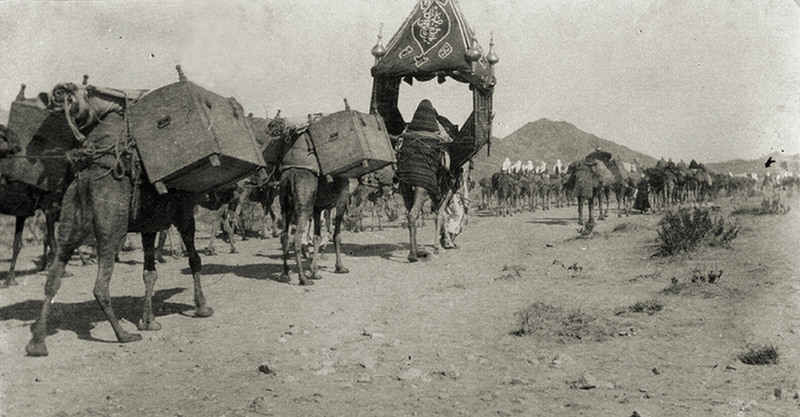 The rest of his luggage and supplies was mounted on a luggage camel belonging to Abu Bakr I, which the two of them shared. 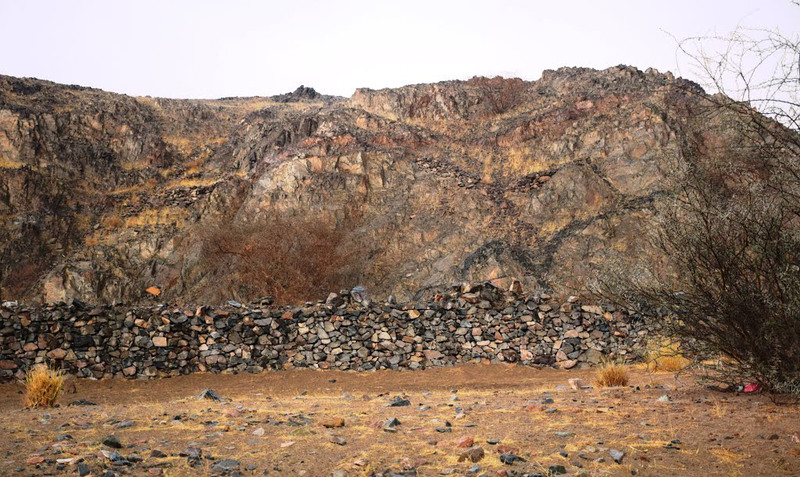 Later that afternoon, the Prophet ﷺ and his companions arrived at Dhul Hulayfah, an open desert area located about 9 kilometres southwest of Madinah, in Wadi al-Aqeeq. This location was fixed as the Miqat for pilgrims coming from Madinah. 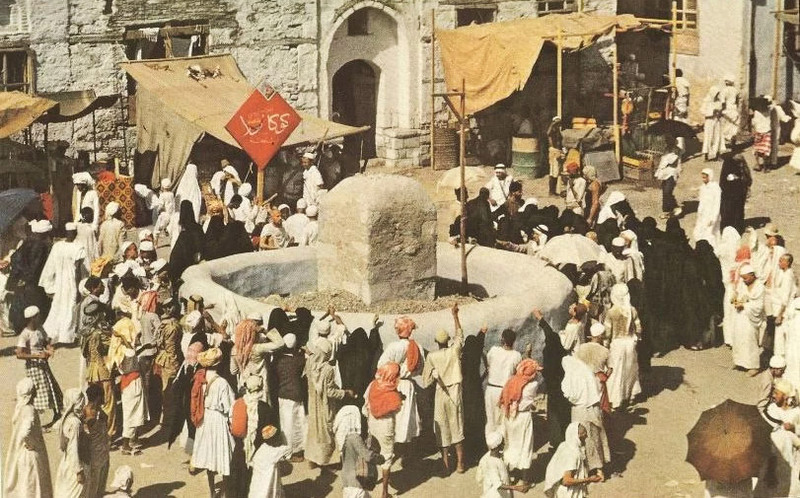 Since it was an open area, it was used as a gathering place for pilgrims, allowing them to organise themselves and travel to Makkah in one body. The Messenger of God ﷺ dismounted at Dhul Hulayfa during his Hajj and whenever he performed an Umrah, beneath an acacia tree at the place of the mosque that is there. 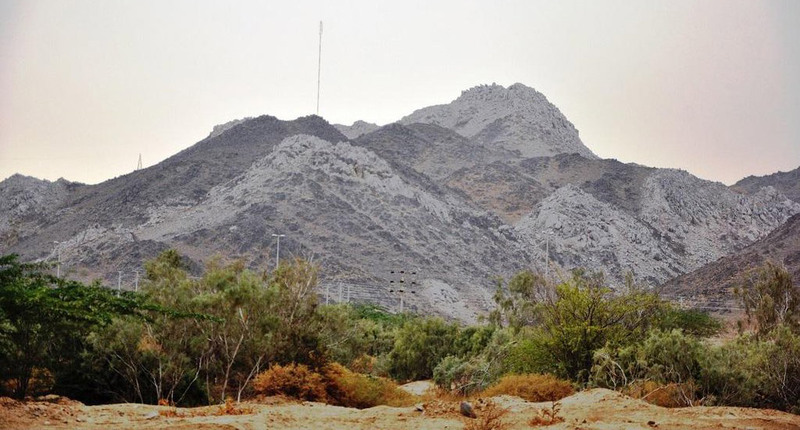 Whenever he was returning from Hajj, Umrah or a military expedition and his path would take him through here, he would descend to the centre of the valley. Upon reaching the valley, he would make his mount kneel at the plain that was on its eastern edge. He would dismount and rest there, rather than at the mosque near the rocks, nor at the palm trees in the vicinity of the mosque. At the bottom of the valley, there were piles of sand near which the Messenger of God ﷺ would pray. 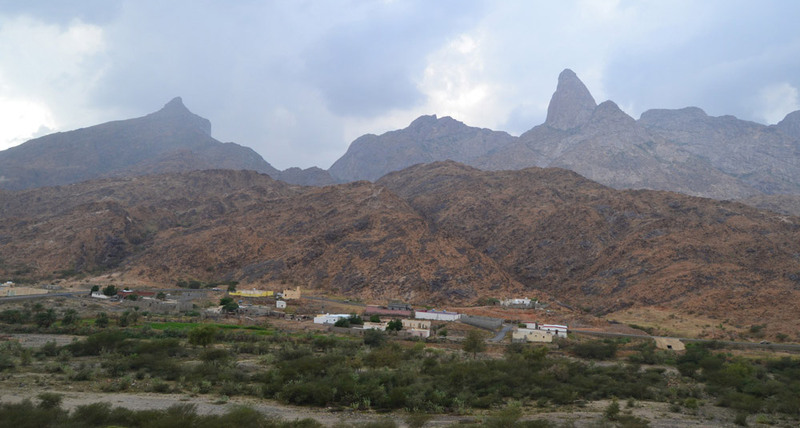 There was also a deep valley nearby in which Abdullah ibn Umar would pray. The flood from the plain ultimately buried that location where Abdullah would pray.12Al-Bukhari, Hadith No. 484. Having started on his journey, the Prophet ﷺ performed Asr Salah in Qasr mode, observing two Rakats instead of the usual four. 13Al-Bukhari, Hadith No. 1089 & 1547; Muslim, Hadith No. 690; Ahmad, Hadith No. 12818. In the valley of al-Aqiq, I heard Allah’s Messenger ﷺ saying: ‘During the night, a messenger came to me from my Lord and asked me to pray in this blessed valley and to assume Ihram for Hajj and Umrah together. '14Al-Bukhari, Hadith No. 1534, 1535, 2336, 2337 & 7343; Ibn Majah, Hadith No. 2976; Abu Dawud, Hadith No. 1800. The same night, Asma bint Umais J gave birth to a boy who was named Muhammad ibn Abu Bakr I. Her husband, Abu Bakr I, informed the Prophet ﷺ and asked him what to do. The Prophet ﷺ instructed her to bathe, to bandage herself sufficiently with a piece of cloth, and then to assume Ihram. She was permitted to observe all Hajj rites with the exception of Tawaf.15Muslim, Hadith No. 1209, 1210 & 1218; al-Nasa’i, Hadith No. 2664; Ibn Majah, Hadith No. 2911, 2912 & 2913; Abu Dawud, Hadith No. 1743; al-Nasa’i, Hadith No. 2663, 2664 & 2762. On the morning of the 26th of Dhul Qadah, after the Fajr prayer, he informed his companions that he was visited by someone sent by God. He informed them of the instruction to pray within the valley, so ordered them to perform the Dhuhr prayer there and to enter the state of Ihram thereafter. I used to perfume Allah’s Messenger ﷺ with the best scent available until I saw the shine of the scent on his head and beard.20Al-Bukhari, Hadith No. 1538 & 5923; Muslim, Hadith No. 1190. The Messenger of Allah I began the Talbiyah from the Masjid at Dhul Hulayfah.21Al-Bukhari, Hadith No. 1541; Al-Nasa’i, Hadith No. 2754 & 2757. Labbayka-llāhumma labbayk, labbayka lā sharīka laka labbayk, inna-l-ḥamda wa n-ni’mata, laka wa-l-mulk, lā sharīka lak. At Your service, Allah, at Your service. At Your service, You have no partner, at Your service. Truly all praise, favour and sovereignty is Yours; You have no partner.22Al-Bukhari, Hadith No. 1549; Muslim, Hadith No. 1184. Allah’s Messenger ﷺ observed the Dhuhr prayer at Dhul Hulayfah, then called for his she-camel and marked it on the right side of its bump, removed the blood from it, and tied two sandals round its neck.23Al-Bukhari, Hadith No. 1545; Muslim, Hadith No. 1243. And the camels and cattle We have appointed for you as among the symbols of Allah; for you therein is good. I said: ‘O Messenger of Allah ﷺ! What should I do with a sacrificial animal that is injured?’ He said: ‘Slaughter it, soak its slipper with its blood and leave it for people to eat. You and your companions must refrain from eating any of the meat yourselves. '24Muslim, Hadith No. 1326; al-Tirmidhi, Hadith No. 910. The Messenger of Allah ﷺ pronounced Talbiyah in Dhul Hulayfa as he put his feet in the stirrup and his camel stood up and proceeded.25Al-Bukhari, Hadith No. 1514, 1553 & 2865; Muslim, Hadith No. 1187; Al-Nasa’i, Hadith No. 2758, 2759 & 2760; Ibn Majah, Hadith No. 2916; Malik, Hadith No. 740. As the Prophet ﷺ came to the hill of al-Bayda, he began to recite Tahmid (Al-Hamdu lillah), Tasbih (Subhan Allah), Tahlil (La Ilaha Illa Allah) and Takbir (Allahu Akbar), before pronouncing the Talbiyah aloud.26Al-Bukhari, Hadith No. 1551 & 1714; Abu Dawud, Hadith No. 1774 & 1796. I swear by Allah, he raised his voice in the Talbiyah at the place where he prayed, he raised his voice in the Talbiyah when his she-camel stood up with him on its back and he raised his voice in the Talbiyah when he ascended the height of al-Bayda.27Abu Dawud, Hadith No. 1770. He who follows the view of Ibn Abbas raises his voice in Talbiyah at the place of his prayer after he finishes two Rakats of his prayer. 28Abu Dawud, Hadith No. 1770. The Prophet ﷺ chose to undertake Hajj al-Qiran, which combines both Hajj and Umrah without leaving Ihram. Those of his companions who were well off and brought their sacrificial animals with them, such as Abu Bakr, Umar, Talhah, al-Zubayr and Abd al-Rahman ibn Awf M, also elected to do the same.29Al-Bukhari, Hadith No. 1551; Muslim, Hadith No. 1251. I looked and people were ahead of him, riding and walking, as far as I could see. The same was the case to his right, left and rear. The Prophet ﷺ was among us, receiving Quranic revelations. He knew its meaning well. Whatever he did, we did likewise.30Muslim, Hadith No. 1218. Jibril came to me and said: ‘O Muhammad! Tell your Companions to raise their voices when reciting the Talbiyah. '31Al-Tirmidhi, Hadith No. 829; al-Nasa’i, Hadith No. 2753; Ahmad, Hadith No. 8314; 16568 & 16569. Labbayk Dha al-Ma’arij. Labbayk Dha al-Fawadil. Labbayk wa sa’dayk wal-khayr fi yadayk, wal-raghba’ ilayk wal-‘amal. Labbayk Dha al-Na’ma’ wal-fadl al-hasan. Labbayk marhuban mink, marghuban ilayk. Labbayk haqqan haqqa, ta’abbudan wa riqqa. I respond to You, Lord of the Ways of Ascent. I respond to You, Lord of all bounty. I respond to You with all my being: all goodness is in Your hand, and all hope is in You and all deeds are for You. I respond to You, Lord of great blessings and bounty. I respond to You in fear and hope. I respond to You very truly, in worship and submission.32Muslim, Hadith No. 1184; Ahmad, Hadith No. 1475 & 14440; Ibn Abi Shaybah, Hadith No. 13472. The Prophet ﷺ did not comment on any of these additional utterances but continued to recite the Talbiyah in the same manner as reported earlier.33Muslim, Hadith No. 1218. By the time the procession had reached al-Rawha, the companion’s voices were hoarse.34Ibn Abi Shaybah, Al-Musannaf, Hadith No. 15051 & 15057; al-Bayhaqi, Sunan, vol. 5, p. 43; Ibn Hajar, Fath al-Bari vol. 3, p. 408. Seventy Prophets went through al-Rawha passage to do the pilgrimage, wearing woollen garments.36Al-Azraqi, Akhbar Makkah, vol. 1, p. 49; al-Hakim, Al-Mustadrak, vol. 2, p. 598; Abu Ya’la, Al-Musnad., Hadith No. 4275 & 7231. Allah’s Apostle ﷺ said: ‘By Him in Whose Hand is my life. The son of Maryam (Jesus Christ) will certainly pronounce Talbiyah for Hajj or for Umrah or for both (simultaneously as Hajj al-Qiran) in the valley of al-Rawha. 37Muslim, Hadith No. 1252. When they were in Ar-Rawha, they saw a wounded donkey. Mention of it was made to the messenger of Allah who said: ‘Leave it, for soon its owner will come.’ Shortly after, al-Bahzi, the owner of the animal appeared and said: ‘O Messenger of Allah, you may do with it as you wish.’ The Prophet ﷺ then ordered Abu Bakr to distribute it amongst the group of companions.38Al-Nasa’i, Hadith No. 2818 & 4344; Malik, Hadith No. 784. 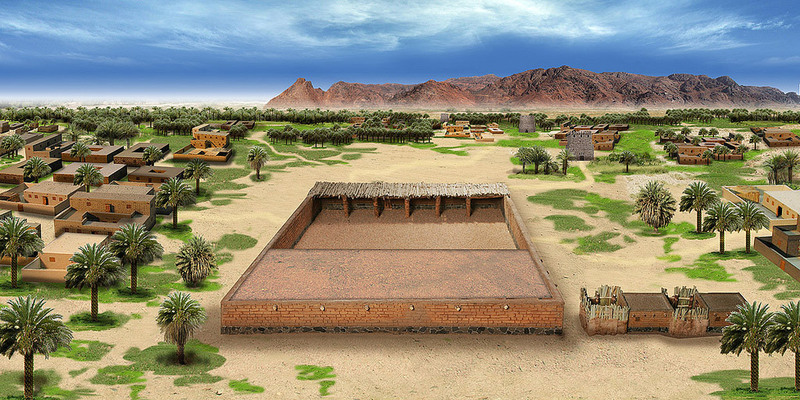 The Prophet ﷺ would pray at the site of the small mosque, rather than the site of the larger one at Sharaf al-Rawha. 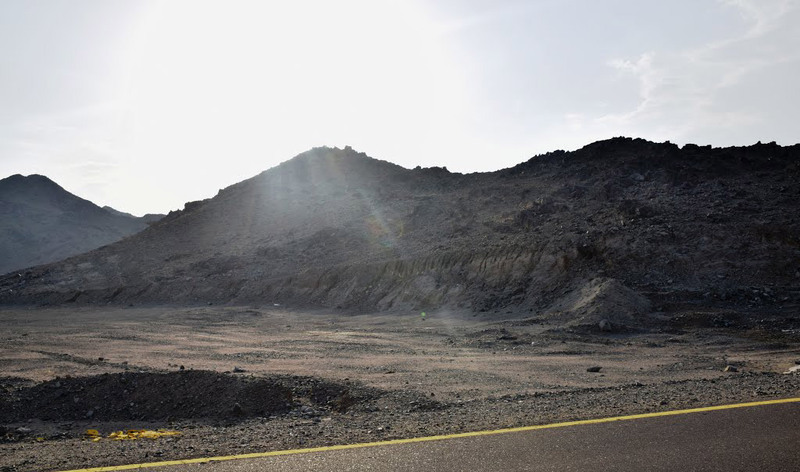 Abdullah ibn Umar would point out the place where the Prophet ﷺ would pray, and say: ‘It’s over there to your right when you stand in prayer at the mosque.’ That mosque is at the edge of the road on the right hand side when you proceed in the direction of Makkah. The distance between it and the bigger mosque is approximately a stone’s throw.39Al-Bukhari, Hadith No. 485. As the caravan reached al-Arj, the Prophet ﷺ and his companions stopped for a rest. The Prophet ﷺ sat next to his wife, Aisha J and her father Abu Bakr I was sat beside them with his other daughter Asma J. Abu Bakr was waiting for his servant to arrive with the camel that was carrying luggage belonging to himself and the Prophet ﷺ. The servant arrived in a state of confusion. Abu Bakr asked him: “Where is the camel?” He replied, “I have lost it.” Upon hearing this, Abu Bakr became angry and lashed out at his servant, saying: “You only had one camel to attend to and you managed to lose it.” The Prophet ﷺ smiled as he looked on. He said to those around: “Look at this man in a state of Ihram. What is he doing?”41Abu Dawud, Hadith No. 1818; Ibn Majah, Hadith No. 2933; Ahmad, Hadith No. 26916. It so transpired that when the servant was in al-Uthayah, he made the camel kneel down while he rested. Then sleep overcame him. 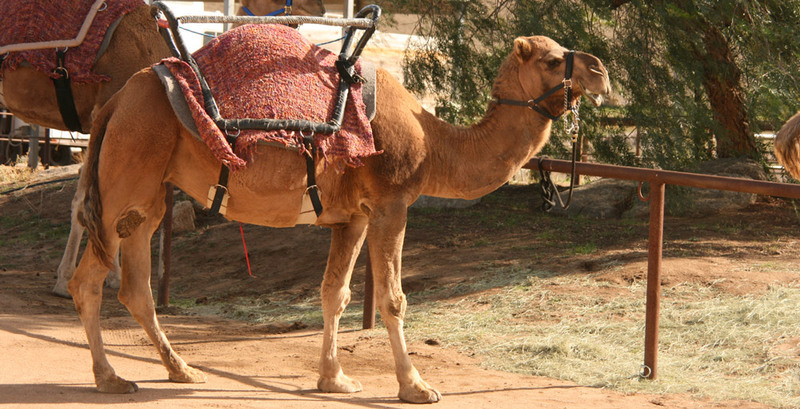 The camel, however, rose and commenced to follow the mountain path. When the servant awoke, he followed the path thinking that he would be able to catch up with the camel. He called out to it but to no avail. A short while later, a companion named Safwan ibn al-Mu’attil I, who was in charge of the rear end of the caravan, found the camel and brought it to the Prophet ﷺ. The Prophet ﷺ advised Abu Bakr to check the luggage for missing items. Upon examining the luggage, he said: “We have not lost anything except a drinking bowl we used to drink with.” The servant told him that he had the bowl. Abu Bakr said to Safwan: “May God deliver whatever is entrusted to you.”43Ibid, vol. 3, p. 1093. Meanwhile, Sa’d ibn Ubadah I, the chief of the Sa’ida clan of the Khazraj tribe, and his son Qays ibn Sa’d I came with a camel laden with provisions. They looked for the Prophet ﷺ until they found him standing at the door of his lodging next to the camel that had been returned to them. Sa’d said: “O Messenger of God, it has reached us that your camel was lost, so here is a replacement camel.” The Prophet ﷺ said: “God has returned our camel, so we are returning yours. May God bless you. O Abu Thabit, is the gracious hospitality you have shown us since our arrival in Madinah not enough for you?” Sa’d said: “O Messenger of God, by the grace of God and His messenger, what you take from our wealth is more precious to us than what you do not take.” The Prophet ﷺ replied: “O Abu Thabit. Rejoice, for you have prospered. Surely kindness is in the hand of God. And God provides gentleness to whomever he wills. Indeed God has gifted you with good character.” Sa’d said: “Praise be to God who has done so.” Thabit ibn Qays I added: “Indeed, O Messenger of God. The family of Sa’d in Jahiliyyah were our masters who provided us food in barren times.” The Prophet ﷺ said: “People remain as they were. The best of them in Jahiliyyah are the best of them in Islam when understanding comes to them.”44Ibid, vol. 3, p. 1095; Ibn ‘Asakir, Tarikh Dimashq, vol. 20, p. 258. 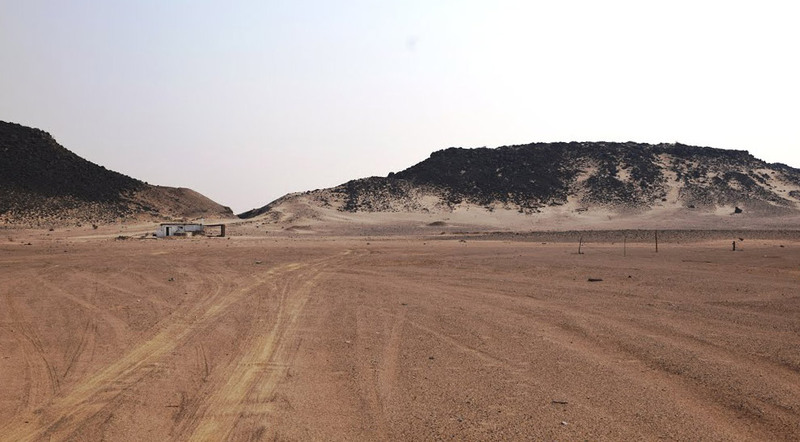 The Prophet ﷺ prayed at the side of a hillock at the posterior of al-Arj, on the way to Hadba. At that mosque, there are two or three graves. Near them stand stone markers at some Salam trees to the right of the road. It was between those trees that Abdullah ibn Umar would pass from al-Arj, after the sun had begun to decline after midday. He would perform the Dhuhr prayer in that mosque.45Al-Bukhari, Hadith No. 488. During the journey, the Prophet ﷺ developed a migraine. The Prophet ﷺ would occasionally suffer from terrible migraines during the course of his life, some of which were so severe that they would prevent him from leaving his house for one or two days at a time. As the intensity of the migraine increased, cupping treatment was administered to the middle of his head at a place called Lahi Jamal.46Al-Bukhari, Hadith No. 1836 5698, 5699 & 5700; Muslim, Hadith No. 1202 & 1203; Ahmad, Hadith No. 2355. Cupping was also previously carried out on his foot to relieve pain in that area.47Abu Dawud, Hadith No. 1837; al-Nasa’i, Hadith No. 2848 & 2849;Ahmad, Hadith No. 12682, 14280 & 15097. We were with the Messenger of Allah ﷺ between Makkah and Madinah and we passed through a valley. He said: ‘What valley is this?’ They said: ‘Azraq Valley.’ He said: ‘It is as if I can see Musa S putting his fingers in his ears and raising his voice to Allah reciting the Talbiyah, passing through this valley. '48Muslim, Hadith No. 166; Ibn Majah, Hadith No. 2891. The Prophet ﷺ and his companions alighted at a place called al-Abwa, the resting place of the Prophet’s ﷺ blessed mother, Aminah J. During the Prophet’s ﷺ childhood, his mother took him to Madinah to meet members of his extended family and introduce him to the city. On the return journey, she fell ill and tragically passed away in the village of al-Abwa, where she was buried. Al-Sa’b ibn Jaththamah I, a local resident of the area who had not yet started his pilgrimage, brought the Prophet ﷺ some meat from an animal he had killed whilst hunting. He offered the Prophet ﷺ a piece of thigh meat from a donkey, which was trickling blood. The Prophet ﷺ couldn’t accept the gesture and was forced to return the gift. Realising that al-Sa’b was displeased, he apologised to him and explained his reason, saying: “We have not rejected it because we dislike it. We are in Ihram, and a person in a state of Ihram cannot eat of what is hunted. Had we not been in Ihram, we would have accepted your gift.”49Al-Bukhari, Hadith No. 1825 & 2596; Muslim, Hadith No. 1193 & 1194. Then he came to the mountain track of Harsha. The Prophet ﷺ said: ‘Which is this mountain track?’ They said: ‘It is the mountain track of Harsha.’ He said: It is as if I can see Yunus ibn Matta S on a red she-camel, wearing a woollen cloak and holding the reins of his she-camel woven from palm fibres, passing through this valley reciting the Talbiyah.50Muslim, Hadith No. 166; Ibn Majah, Hadith No. 2891. The Prophet ﷺ said: ‘March on. This is Jumdan. The Mufarridun (single-minded) have gone ahead.’ The companions asked who the Mufarridun were, to which he replied: ‘They are those who absorb themselves in the remembrance of Allah (i.e. perform Dhikr). Their Dhikr will reduce their heavy burdens to such an extent that they will have a light load on the Day of Judgement. '51Muslim, Hadith No. 2676; al-Tirmidhi, Hadith No. 3596; Ahmad, Hadith No. 8290 & 9332. Prophets Hud S and Salih S went through it riding young red she-camels with fibre reins. They wore ordinary lower garments and woollen top garments. They headed to offer the pilgrimage at the Ancient House.52Ahmad, Hadith No. 2067; al-Bayhaqi, Shu’ab al-Iman, Hadith No. 3714. The Messenger of Allah ﷺ heard a man saying: ‘Labbayk on behalf of Shubrumah’. The Prophet ﷺ asked: ‘Who is Shubrumah?’ He said: ‘A brother of mine.’ The Prophet ﷺ asked: ‘Have you performed your own Hajj?’ The man answered in the negative. The Prophet ﷺ said: ‘Then perform this Hajj for yourself and carry out the pilgrimage on behalf of Shubrumah at a later date. '53Abu Dawud, Hadith No. 1811; Ibn Majah, Hadith No. 2903; Ibn Hibban, Hadith No. 3988. The Prophet said to him: ‘Ride on it.’ He replied: ‘It is a Badana (sacrificial animal).’ The Prophet ﷺ again said: ‘Ride on it!’ Then I saw that man riding it, showing obedience to the Prophet and a shoe was hanging from its neck. '54Al-Bukhari, Hadith No. 1689, 1706 & 2754; Muslim, Hadith No. 1322 & 1323; Ahmad, Hadith No. 12040. Before the advent of Islam, riding sacrificial animals was prohibited by the Arabs as they were considered sacred. The Prophet ﷺ abrogated this precedent.55Al-Nawawi, Sharh Sahih Muslim, vol. 9, pp. 73-74; Ibn Hajar, Fath al-Bari, vol. 3, p. 536-538. A companion by the name of Abu Taliq I asked the Prophet ﷺ: “What would equal offering Hajj in your company?” The Prophet ﷺ replied: “To perform Umrah during the month Ramadan.”56Al-Tabarani, Al-Mu’jam al-Kabir, vol. 22, p. 324. 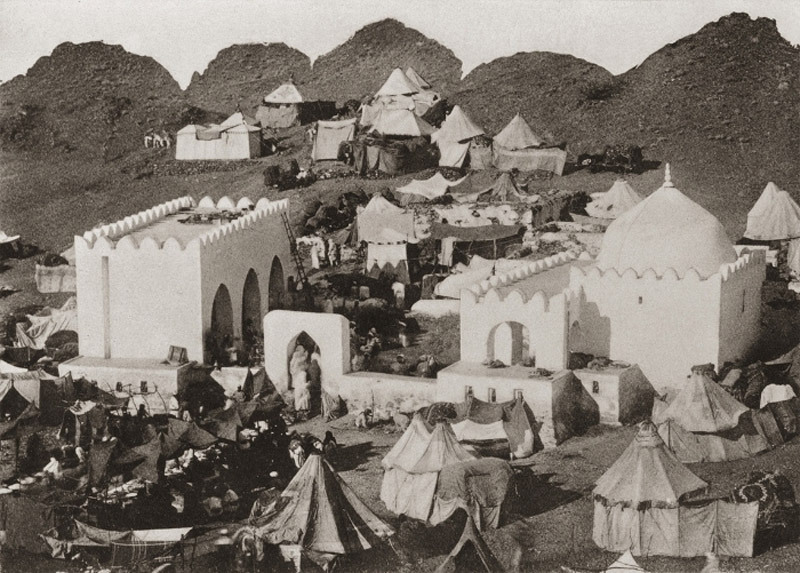 With the arduous journey drawing to a close, the Prophet ﷺ encamped at Saraf, some 20 kilometres north of Makkah. 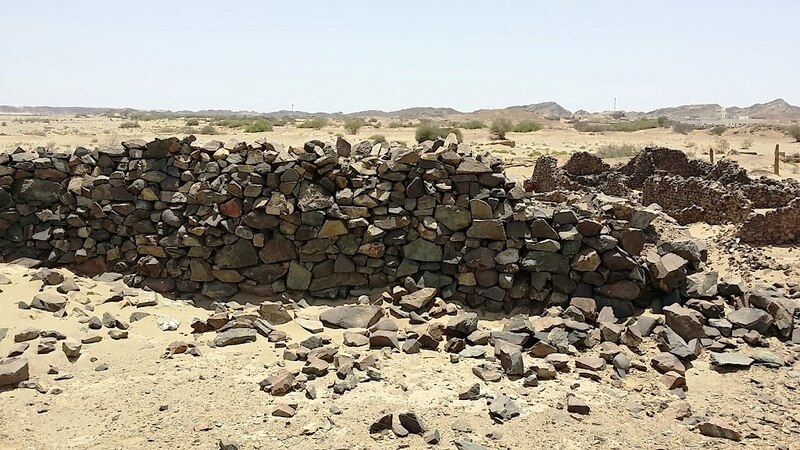 Saraf is the place where the Prophet ﷺ married Maymuna bint al-Harith J thee years prior to the Hajj and is also the location of her burial site. 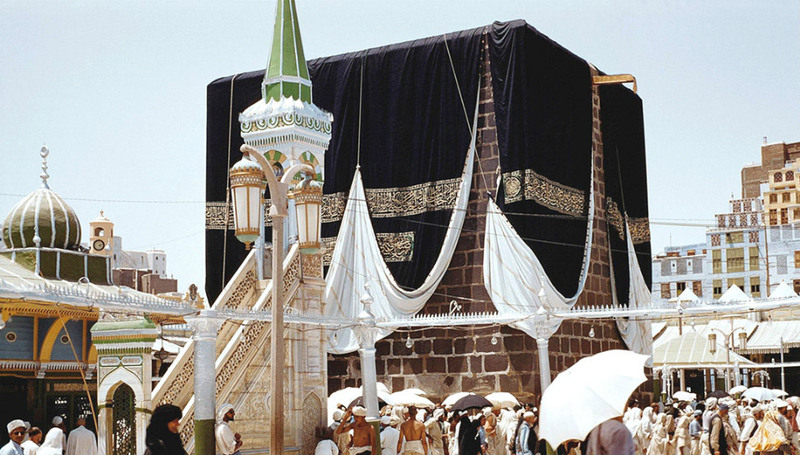 He addressed his companions, saying: “Those of you who have not brought a sacrificial animal and prefer to convert the Hajj into an Umrah (i.e. perform Hajj al-Tamattu) may do so, but whoever has brought a sacrificial animal should not do so (i.e. he should perform Hajj al-Qiran)”. This statement of the Prophet ﷺ partly abrogated his earlier instruction that everyone was free to choose the form of pilgrimage that suited them. Some of the companions did indeed convert it into an Umrah, as they were permitted, while others stuck with their original intention of performing Hajj, and did not convert it into an Umrah.57Al-Bukhari, Hadith No. 1560, 1786 & 1788; Muslim, Hadith No. 1211. Allah’s Messenger ﷺ came to me and saw me weeping and said: ‘What makes you weep, O Hantah?’ I replied: ‘I heard the conversation you had with your companions and I cannot perform the Umrah.’ He asked: “What’s the matter?’ I replied: ‘I cannot offer the prayers (i.e. I have my menses).’ He said, ‘ It will not harm you for you are one of the daughters of Adam, and Allah has ordained this for all daughters of Adam. Retain your intention for Hajj and Allah may reward you that.58Al-Bukhari, Hadith No. 305, 1560, 1786 & 1788; Muslim, Hadith No. 1211. 1. ↑ Al-Bukhari, Hadith No. 7288; Muslim, Hadith No. 1337; Ahmad, Hadith No. 905, 2304 & 10607. 2. ↑ Al-Bukhari, Hadith No. 133 & 1525; Muslim, Hadith No. 1182; Ahmad, Hadith No. 5070 & 5323. 3. ↑ Al-Bukhari, Hadith No. 1838 & 5805; Muslim, Hadith No. 1177; Ahmad, Hadith No. 4868 & 5325. 4. ↑ Al-Bukhari, Hadith No. 1089 & 1546; Muslim, Hadith No. 690. 5. ↑ Al-Bukhari, Hadith No. 1545. 7. ↑ Al-Bukhari, Hadith No. 1709, 1720 & 2952; al-Nasa’i, Hadith No. 2650; Ibn Majah, Hadith No. 2981. 8. ↑ Al-Bukhari, Hadith No. 5089; Muslim, Hadith No. 1207 & 1208; Ahmad, Hadith No. 26953. 11. ↑ Al-Bukhari, Hadith No. 1535 & 2336; Muslim, Hadith No. 1346; Ahmad, Hadith No. 6205. 12. ↑ Al-Bukhari, Hadith No. 484. 13. ↑ Al-Bukhari, Hadith No. 1089 & 1547; Muslim, Hadith No. 690; Ahmad, Hadith No. 12818. 14. ↑ Al-Bukhari, Hadith No. 1534, 1535, 2336, 2337 & 7343; Ibn Majah, Hadith No. 2976; Abu Dawud, Hadith No. 1800. 15. ↑ Muslim, Hadith No. 1209, 1210 & 1218; al-Nasa’i, Hadith No. 2664; Ibn Majah, Hadith No. 2911, 2912 & 2913; Abu Dawud, Hadith No. 1743; al-Nasa’i, Hadith No. 2663, 2664 & 2762. 16. ↑ Al-Bukhari, Hadith No. 270; Muslim, Hadith No. 1192. 18. ↑ Al-Bukhari, Hadith No. 1540. 20. ↑ Al-Bukhari, Hadith No. 1538 & 5923; Muslim, Hadith No. 1190. 21. ↑ Al-Bukhari, Hadith No. 1541; Al-Nasa’i, Hadith No. 2754 & 2757. 22. ↑ Al-Bukhari, Hadith No. 1549; Muslim, Hadith No. 1184. 23. ↑ Al-Bukhari, Hadith No. 1545; Muslim, Hadith No. 1243. 24. ↑ Muslim, Hadith No. 1326; al-Tirmidhi, Hadith No. 910. 25. ↑ Al-Bukhari, Hadith No. 1514, 1553 & 2865; Muslim, Hadith No. 1187; Al-Nasa’i, Hadith No. 2758, 2759 & 2760; Ibn Majah, Hadith No. 2916; Malik, Hadith No. 740. 26. ↑ Al-Bukhari, Hadith No. 1551 & 1714; Abu Dawud, Hadith No. 1774 & 1796. 27, 28. ↑ Abu Dawud, Hadith No. 1770. 29. ↑ Al-Bukhari, Hadith No. 1551; Muslim, Hadith No. 1251. 30, 33. ↑ Muslim, Hadith No. 1218. 31. ↑ Al-Tirmidhi, Hadith No. 829; al-Nasa’i, Hadith No. 2753; Ahmad, Hadith No. 8314; 16568 & 16569. 32. ↑ Muslim, Hadith No. 1184; Ahmad, Hadith No. 1475 & 14440; Ibn Abi Shaybah, Hadith No. 13472. 34. ↑ Ibn Abi Shaybah, Al-Musannaf, Hadith No. 15051 & 15057; al-Bayhaqi, Sunan, vol. 5, p. 43; Ibn Hajar, Fath al-Bari vol. 3, p. 408. 36. 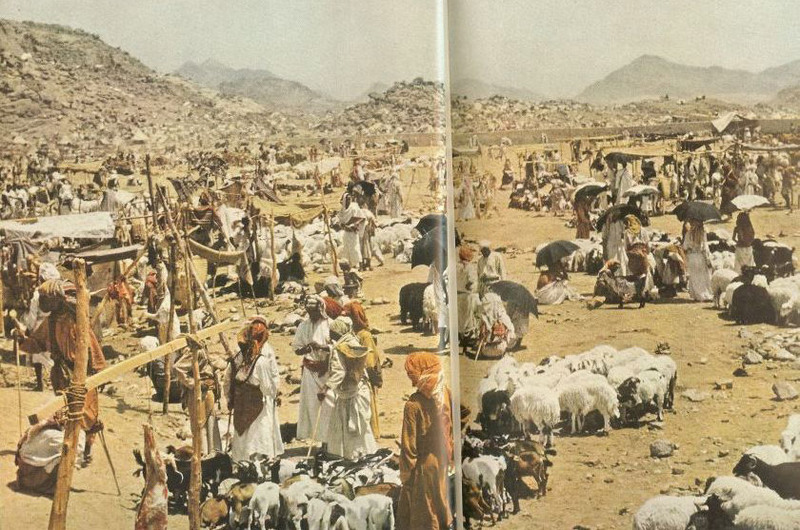 ↑ Al-Azraqi, Akhbar Makkah, vol. 1, p. 49; al-Hakim, Al-Mustadrak, vol. 2, p. 598; Abu Ya’la, Al-Musnad., Hadith No. 4275 & 7231. 37. ↑ Muslim, Hadith No. 1252. 38. ↑ Al-Nasa’i, Hadith No. 2818 & 4344; Malik, Hadith No. 784. 39. ↑ Al-Bukhari, Hadith No. 485. 41. ↑ Abu Dawud, Hadith No. 1818; Ibn Majah, Hadith No. 2933; Ahmad, Hadith No. 26916. 43. ↑ Ibid, vol. 3, p. 1093. 44. ↑ Ibid, vol. 3, p. 1095; Ibn ‘Asakir, Tarikh Dimashq, vol. 20, p. 258. 45. ↑ Al-Bukhari, Hadith No. 488. 46. ↑ Al-Bukhari, Hadith No. 1836 5698, 5699 & 5700; Muslim, Hadith No. 1202 & 1203; Ahmad, Hadith No. 2355. 47. ↑ Abu Dawud, Hadith No. 1837; al-Nasa’i, Hadith No. 2848 & 2849;Ahmad, Hadith No. 12682, 14280 & 15097. 48, 50. ↑ Muslim, Hadith No. 166; Ibn Majah, Hadith No. 2891. 49. ↑ Al-Bukhari, Hadith No. 1825 & 2596; Muslim, Hadith No. 1193 & 1194. 51. ↑ Muslim, Hadith No. 2676; al-Tirmidhi, Hadith No. 3596; Ahmad, Hadith No. 8290 & 9332. 52. ↑ Ahmad, Hadith No. 2067; al-Bayhaqi, Shu’ab al-Iman, Hadith No. 3714. 53. ↑ Abu Dawud, Hadith No. 1811; Ibn Majah, Hadith No. 2903; Ibn Hibban, Hadith No. 3988. 54. ↑ Al-Bukhari, Hadith No. 1689, 1706 & 2754; Muslim, Hadith No. 1322 & 1323; Ahmad, Hadith No. 12040. 55. ↑ Al-Nawawi, Sharh Sahih Muslim, vol. 9, pp. 73-74; Ibn Hajar, Fath al-Bari, vol. 3, p. 536-538. 56. ↑ Al-Tabarani, Al-Mu’jam al-Kabir, vol. 22, p. 324. 57. ↑ Al-Bukhari, Hadith No. 1560, 1786 & 1788; Muslim, Hadith No. 1211. 58. ↑ Al-Bukhari, Hadith No. 305, 1560, 1786 & 1788; Muslim, Hadith No. 1211.